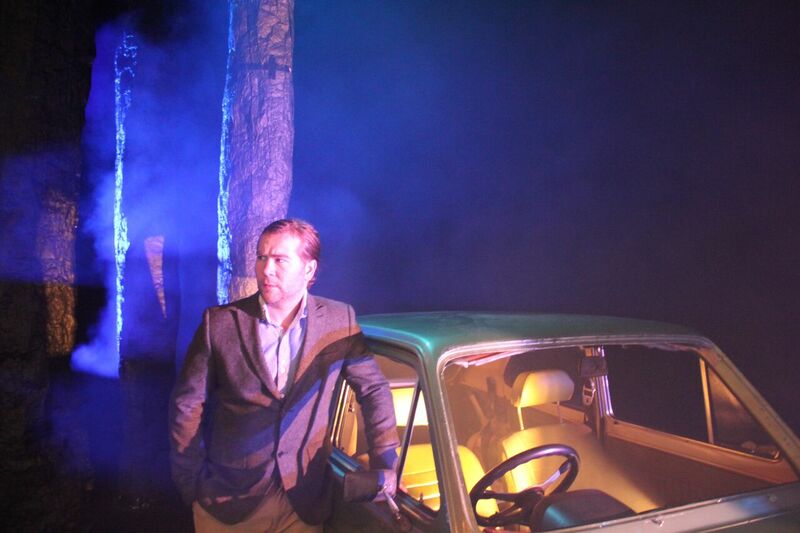 An entertaining, unashamedly good fun, psychological thriller, the stage-play Ghost Stories comes to Perth having concluded a five-year run on West End in 2015. Written by Jeremy Dyson (The League of Gentlemen) and Andy Nyman (Death at a Funeral and writer of the Derren Brown shows), the puzzling mystery features monsters, blackouts, and genuine scares. Suspenseful rather than violent or bloody, it had me avoiding shadows and straining to hear if there were footsteps behind me as I chattered excitedly about what I’d seen after the show ended. BAFTA winning British artist Stuart Brennan is superb as the protagonist, Professor Philip Goodman, who frames the production as a lecture on the paranormal and ghostly sightings. The perfect exposition, his comic and scholarly delivery builds the anticipation and readies the audience to suspend their disbelief and be regaled with the stories of three percipients; victims of spooky, inexplicable occurrences. It’d be hard to delve into the performance without spoiling it, but broadly the show intertwines and overlaps their cleverly connected tales. Each vignette slowly builds, with cones of light shooting across a darkened stage to illuminate the faces of Goodman and the subjects he interviews. As each of the three scenes develop, you are drawn onto the edge of your seat as you await the inevitable shuddering climax. Costume Designer Eleanor Hutchison, Set Designer Jaz Wickson and Lighting Designer Christopher Page are key to the success of this show, their work inspiring terror the skilled performers couldn’t generate alone. The brilliant stage production team craft a set that is eerily alive, and the mechanics went off smoothly without a hitch. 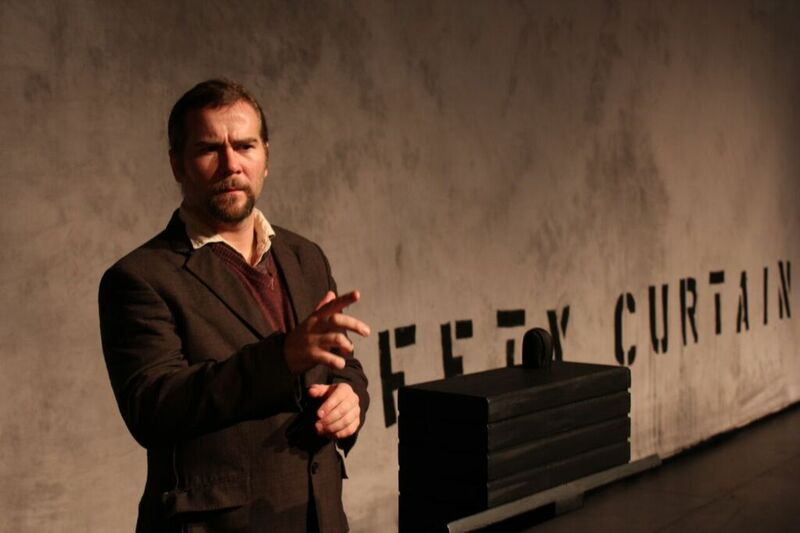 Amongst a strong cast – Richard Moss, Matthew Connell and Brian Markey – Jonathan Peck stands out as Desi Callahan, his grating laugh and restlessness fuel for the unnerving, climatic reveal. Of all the work I’ve seen this year, Ghost Stories alone has tackled a genre typically reserved for film and successfully brought it to the stage. Ghost Stories runs until Sunday 2 October at the State Theatre Centre’s Heath Ledger Theatre. Tickets available here. Next ArticleI Am In Your House: Part 6, "Birds"
..and sound design???? The show is nothing without the use of sound. Otherwise you are watching actors on a pretty lit stage with nice props in silence.